Aching for romantic love this Valentine’s Day? In love and in darkness, there are plenty of ways to express your adoration to a special witch in your life. Having a dark side doesn’t mean you can’t honor your loves’ magical lifestyle this romantic holiday. Witches are known to be open-minded and adventurous. Our beloved witches are viewed as positive symbols of intrigue and power, not all witches resort to love spells to find their significant other! If you’ve fallen in love with a divine witch, embracing her inner Goddess calls for desire and passion. Conjure up some wicked magic with your special significant other with a few tricks up our sleeves. Each witch has her own unique and captivating aura, which means any giftable item should cast a spell of gratitude over you. Put a little more thought and effort into your gift-giving if you’re not planning to stay single this Valentine’s day! Bring a little extra charm to your special witchy love with a few treats better than chocolates and flowers. So, let’s cast a love spell, shall we? We’ve scoured up 14 witchy gifts from our nest for the woman in your life that brings magic into your soul. Pamper her with our magical gift ideas for a truly enthralling Valentine’s Day. Keep your favorite witch in style with our large Witch Please artificial Leather Bag, it's spooky, vegan and big enough to carry around practically everything...from old-timey analog spell books to laptop or even a cauldron! Soothe your witchy-love's skincare ritual with this bewitching vegan body lotion enriched with a blend of patchouli, frankincense, myrrh, sandalwood, vanilla, musk and rose. Perfect and enchanting for those dry winter days! Give your partner the gift of beautiful skin with our Soothing Facial Toner. The calming aroma of aloe, lavender, and rose water will not only tighten her pores but uplift her spirits. If you're infatuated with your witch's pout, a little extra lip care calls for a tint created with organic cocoa butter. Gift her soft supple lips with our Merlot shade hued lip and cheek tint. Create a romantic/goth bedtime feel for your partner with a bedding set designed with death-head moths, roses and moons elements. "No rest for the wicked"! Leave her space smelling truly wicked with our Kamini Wicked incense. She'll fall madly in love with this sensuous fragrance. Witches and candles are a match made in...darkness. This candle's aromatic blend includes natural essential oils from Bergamot, Coriander, Lemon, Orange, and Patchouli, it's also continues a black tourmaline crystal for protection. And as you know "I have enough candles" or "I have enough crystals" said no witch ever! No witch should be without her valuable jewelry. Capture your witch's heart with this set of rings with Runic script. These dainty rings are everything she needs to feel empowered. For something with a deeper meaning, these black agate stones are etched with various Wiccan symbols. Each symbol has a basic meaning and can be used for rituals, spells, ceremonies and in it's a must-have in any Pagan/Wiccan or eclectic altar. Fragrance is a bit like magic...invisible yet enchanting. This sultry and striking potion of essential oils perfume will make your beloved smell captivating. This sweet little roll-on vile makes the perfect little gift. If your dearest is a caffeine addict, witches brew a hot cup of coffee or tea with this little gift for your sassy witch. It's the perfect whimsical and sweet gift to remember you by every morning. Perfect for a witch with luscious hair, this handmade elixir deeply nourishes hair for gorgeous locks….not to mention it's natural, organic and smells absolutely divine! For the witch that loves to stay comfy, gift her these super chic and trendy leggings featuring a constellation pattern. These will spice up any outfit she can possibly conjure up. Pair these with our Witch Please leggings for a spooky outfit. 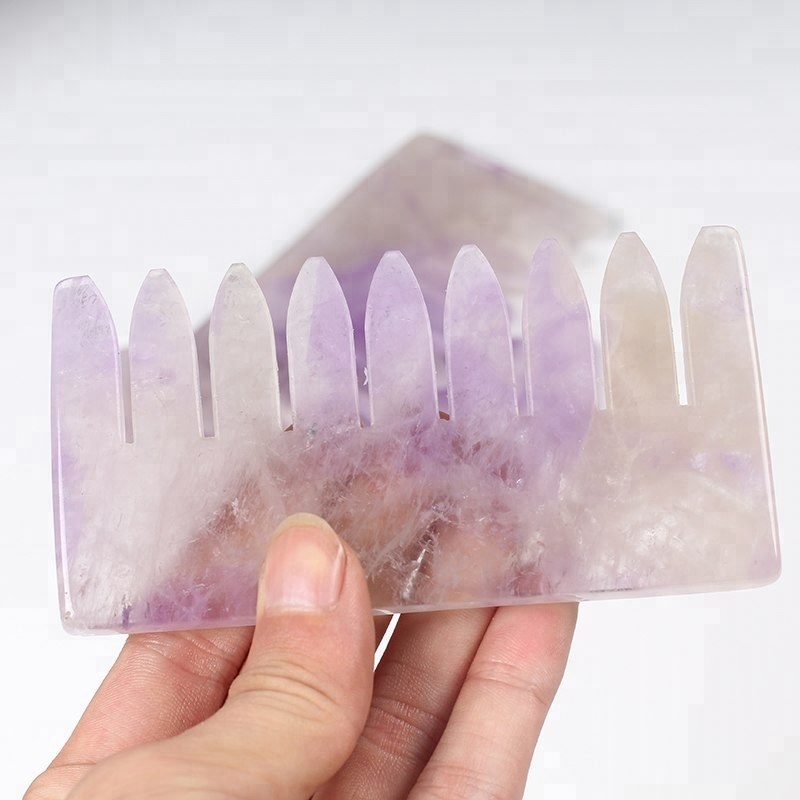 Brush away your beloved’s negative energy with this little rose quartz comb. This handy and personal gift will detangle strands and de-stress the scalp for beautifully smooth hair. Conjure up a little passion into your romantic gift-giving for every type of witch in your life. Gift any of our enchanted picks to your goddess to express just how much you love her.